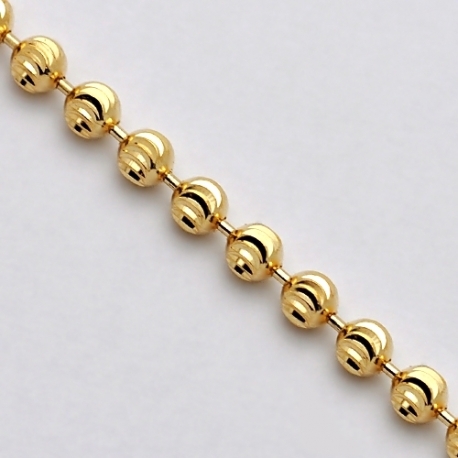 A fresh alternative to traditional look, this army moon cut bead chain is an indispensable piece! 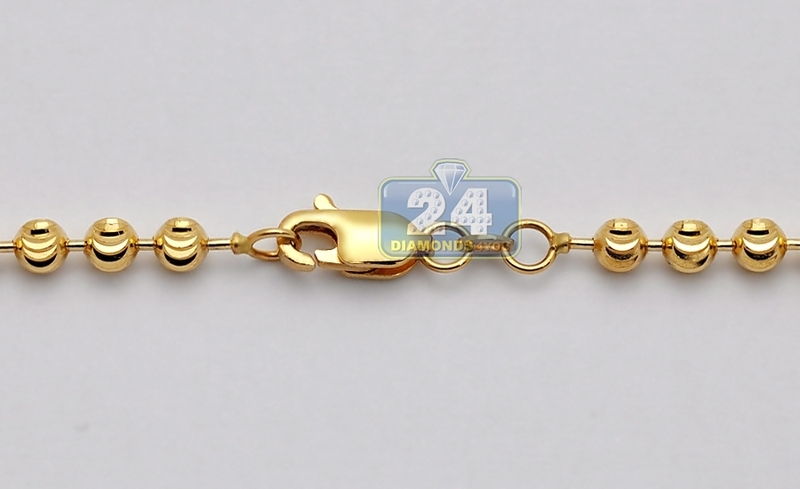 It is expertly handmade of solid 14k yellow gold in Italy, and features moon cut design for elegant brilliance! 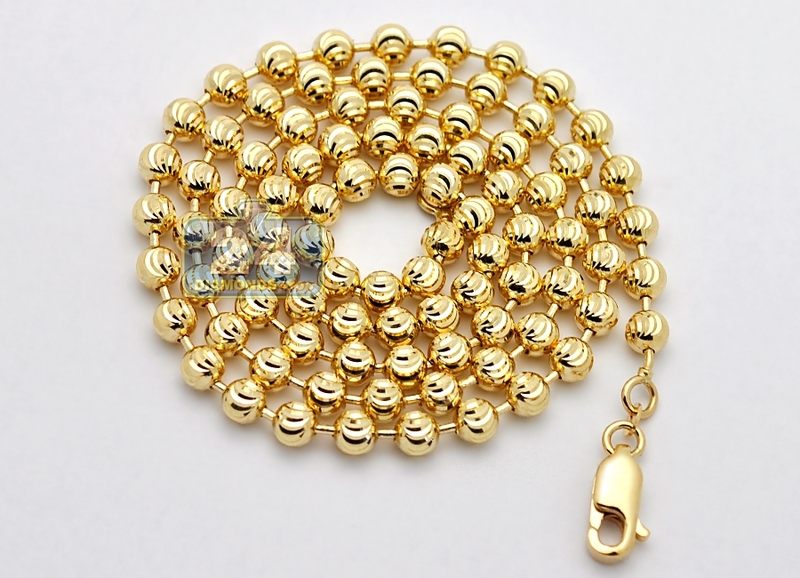 The necklace measures 5 mm in width and available in 24, 26, 28, 30, 32, 34 and 36 inches in length. Their weight vary from 39 to 59 grams. This men's army moon cut chain is always a stylish choice!